In the past, if you had $1 million — or better, $10 million — there were private banks and bankers who would provide services you wouldn't get from an ordinary bank. But thanks to changes in the financial industry, ordinary, non-wealthy people can now access almost all of these services, if they're willing to do a bit of the legwork themselves. The sorts of services that private banks provide fall into four general categories: Banking services, investment services, advisory services, and perqs. Of course, they also come at a price, which you can largely avoid if you roll your own. One thing that private banks provide are standard banking services. They receive your deposits, process your payments, transfer your money, offer loans, etc. Your ordinary non-private bank will do all of these things as well, but in the old days, they expected you to show up in-person at the bank. Since you can now do these things online, rolling your own private-bank equivalent is easy. Let's say you're traveling abroad, meet someone lovely that you'd like to spend more time with, and decide to extend your travels. In the old days, a private banker could really help with logistics — get someone to collect your mail, sort through it to find any checks or bills you'd received, and get them deposited or paid as the case may be. If incoming checks didn't quite cover your new travel expenses, they could also float you a quick loan. They could also get local currency delivered to you. But now, handling these sorts of affairs is much easier for people to do on their own. Your incoming funds are direct deposited to your account. Your bills are set to be paid automatically, or you can can pay them online. Local currency is as close as the nearest ATM. Private banks have an investment arm. The fee they charge is a fraction of your assets under management, but the fee scales down as you have more to invest. Besides actual banking services, a private banker can connect you with all sorts of professionals that the wealthy need: tax accountants, estate planners, investment managers, and so on. If you're really wealthy, it can make sense to wrap all these advisers together with a private banker. This is where the movie version of the private banker meets real life. One category of perqs is called concierge services. Your private banker can hook you up with hard-to-get tickets, invitations to exclusive events, make complicated travel arrangements, and so on. This category is so popular these days that just about everybody is offering it — in particular, all the upscale credit cards have a concierge service. They've started outsourcing the work to firms that specialize in it — something that's an option for you as well. It's probably cheaper to hire a personal assistant to do these things for you, and of course much cheaper to do it yourself. 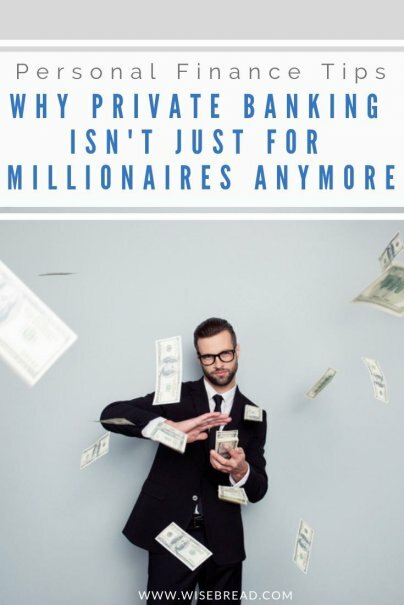 If you're really rich — investable assets in excess of $25 million, let's say — there will be private bankers interested in your business, and they may be able to provide services that are worth the $125,000 or more they're likely to cost each year. For example, restructuring a multi-million dollar business so that Dad can partially cash out while passing the rest of the business on to his kids is likely to require a whole range of experts in accounting, taxes, and estate planning, plus a banker. A private banker is probably your best entryway into getting services of that sort. Or let's say you're buying a private jet. Even if you're genuinely rich enough to afford one, you probably don't have all that money sitting around in cash. Your private banker will be pleased to produce a custom financing package based on intimate knowledge of what cash you do have and what investment transactions are already in the works. They'll also handle the payment and make a conference room available for you and the seller to finalize the transaction. Banking services — even the sorts that used to be specialized for rich people — are routinely available to ordinary people at very reasonable prices, thanks to innovation and the internet. Because banks now all own brokerage firms and brokerage firms now all own banks, you can go either way when you pick the firm where you'll roll your own private bank. The advantage of a brokerage firm is that you can use your investments as collateral for a loan — the interest rate is typically half to a third of what a cash advance on a credit card would cost you. The advantage of a bank is that they have local offices where you can get cash, talk to a banker, use their conference room to close a deal, etc. You want to avoid money center banks and major regional banks — they're only interested in earning million-dollar fees for putting together billion-dollar deals. What you want is a bank one step down in size. 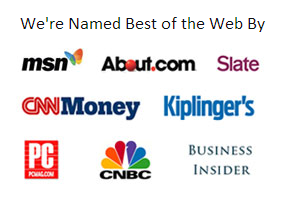 (My bank isn't in the top 100 biggest banks, but it is in the top 200.) Banks that size, especially ones with a local connection, will have bankers who are actually interested in providing services to individual people, rather than just to major corporations. And a banker who will provide personal service can be just as good as a private banker.